Roberto comes from Lecce, Italy. 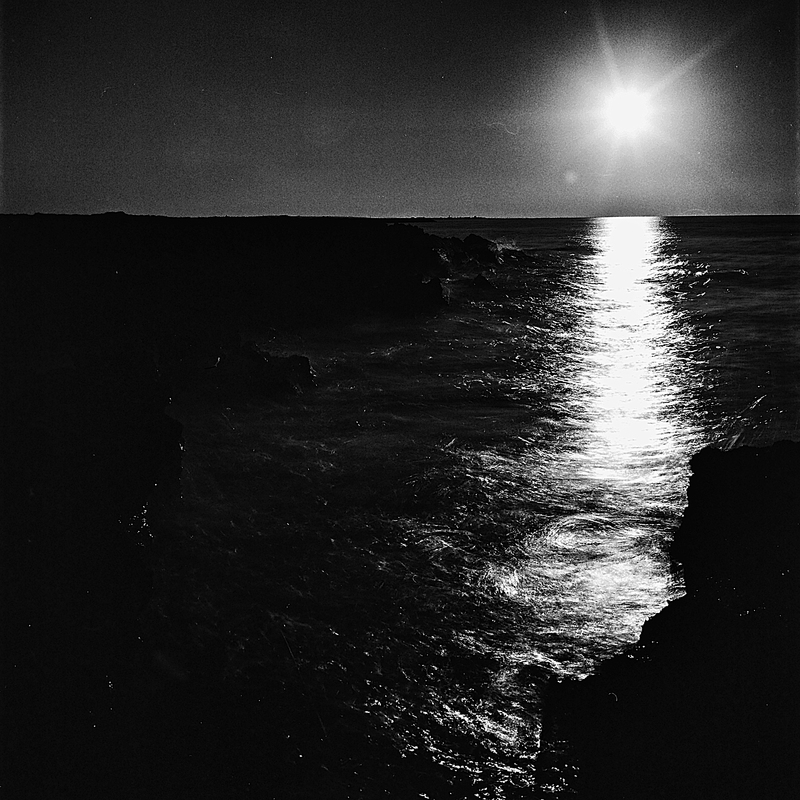 His B&W photographs often deal with marine themes and this organic feeling is highly noticeable in his works. He already received several awards in various photographical contests. Did you have a first encounter with art, that ultimately inspired you to become an artist? Photography has aroused in me, from my early age, a lot of curiosity and interest. But when I was a child, I had no chance or means to cure my passion; so, my experience with the camera is fairly recent, and begins at the moment in which I was able to have the necessary economic resources to devote myself to this passion. As it often happens, you have to deal, in a very pragmatic way, with money and economic means. When these are scarce, your passions end up becoming a luxury which can hardly be satisfied in everyday life. My first steps into the world of photography took place in a completely opposite direction to the direction that I have taken today. In fact my first camera was a digital SLR. My photos were the result of an almost childlike behaviour, primitive and chaotic, since everything was dictated by enthusiasm and nothing had a direction or a logical reason. My photos pointed to spectacular beauty and they had no emotional or expressive content. Images were flat and empty. But those were, nevertheless, the first experiments. My journey and my exploration of the photographic world started from zero. I had no basic knowledge, techniques and language. I did not have any experience nor had completed any studies. I didn’t know the art of photography and I didn’t know the photographers, even the world-famous ones. I was completely “tabula rasa”. I had no knowledge, but this gave me the possibility of not carrying preconceptions. So, at the beginning, everything was an experiment for me, something that could lead to errors. But it was all useful to enhance the experience and to develop, together with the experience, my first personal tastes in photography. Driven by my character and my nature, I have gradually abandoned digital photography, to devote myself almost entirely to photography in black and white analog. At first in 35mm and then, after a while, in medium format. That was (and is) my idea of photography. My favourite one. The form which ensured the highest level of expression for my personal taste and opinion. The depth and density of the shadows. Black and tangible as ink. Everything took shape and texture. Everything was clothed with an alchemy of gray and shades, of a grain and a substance tactile to the eyes and the soul, but a substance which is essence irreproducible and indefinable. Of the same substance and indefinable nature of which are made feelings and emotions. Also in this case, I had to start from the beginning. I did not have any basic knowledge in the field of analog photography. At the same time, I wanted to develop my film in black and white by myself, but of course I did not know anything about it. So I had to learn how to develop a film. So I had only to begin, without thinking too much. Without too many philosophies on techniques and rules. I had in my hands just enthusiasm and curiosity. Without a reference model, without examples to inspire me. I had no direction. But if you do not care to know where you’re going, then any direction is the right direction. But this reasoning also implies a further observation. My passion for photography is innate, but that does not qualify me as an artist. I like to take pictures. To be or not to be an artist is something that I do not care about and it is not my responsibility. The qualification or attribute of an artist is something that does not add or subtract anything to what I do. It is irrelevant. And being irrelevant, is a statement devoid of logical content and substance. Therefore it does not fall within my sphere of interest. How did you come up with this particular form of self expression? Why did you choose photography? I was deeply attracted by the photographic art. By photography. By the image. The image creation. Almost like a primal instinct. The fact of not having been able to pursue my passion since childhood was just a postponement of this inevitable “meeting”, which was not a matter of choice, but a matter of favouring my nature and my propensity towards a form of art, thanks to which, more than any other art form, I have been allowed to give expression and voice to my urgent needs and concerns. It was the only art form that allowed me to remove my thoughts, to separate me from my anxieties, to discharge all tension. A real and effective psychotherapy. What pushes you to create? What pushes me to do photography, what are the reasons, the reason I do photography, is closely related to the mood which feeds my visions and gives blood and texture to my photos. I return to mentioning, in a very pragmatic way, without intent or metaphorical excess, the importance of the psychotherapeutic role of photography. The photographic process, the creative process, coincides with a moment of abstraction and alienation of the self. Taking into consideration all things related to my state of mind, with regard to what drives me today to do photography, my reasons are very different and distant from those of a few years ago. If I have to think, therefore, a reason for which I do photography, the first thing that comes to mind is my necessity, my need, to have to put as much space and distance as possible between me and my thoughts. My everyday thoughts. Not an easy thing to describe. It is more a feeling of detachment that the mind undergoes. But this is the role and the importance of the photography and of the entire photographic process for me. A time when I push away my thoughts and I suspend my sadness and my malaise. I can isolate myself from the world. For a moment. For that moment. And all this gives me a sense of being effective, although short-lived. It is also one of the reasons why, in recent years, my pictures are almost exclusively long-exposure; the reason why I have adopted this technique in a preponderant way. What is the process you usually go through to complete a work, from beginning to end? Not just the technical aspects of the creative process, but also emotional preparation, your state of mind, something related that could trigger it and so on. Almost all my photos are long exposure photos, which therefore require the use of a tripod and a neutral density filter. Whether I want to take pictures in an urban context, or of a landscape, I always have with me my tripod and all the necessary material in my backpack. The preparation phase of the picture becomes a ritual that is performed methodically and very calmly. Not in a hurry. 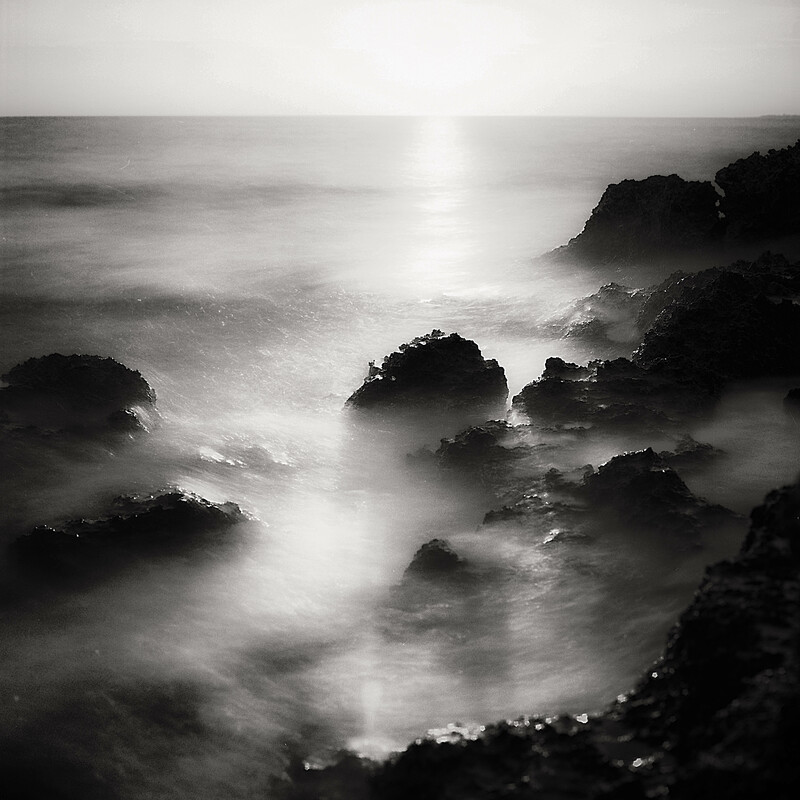 Often, especially in the case of long exposure to a seascape, you have to plan well and in advance the photo, in order to follow the movement of the sun and make use of good natural sources of light. Aperture and exposure time should be determined according to the light. My main camera is a Hasselblad, whereby an analog camera medium format completely mechanical, and therefore with no exposure meter. I do not have and never use an external exposure, or any instrument capable of detecting and measuring the level of brightness. And so exposure time and aperture must be established “by eye”. I can only avail on accumulated experience to do this. Especially when I have to calculate the opening times on long exposures. All this cannot be left to chance, and cannot be entrusted to any electronic automatism. So everything requires a lot of attention. A lot of concentration. Every thought and every action must be directed and projected towards the realization of the photo. It is in this context that the therapeutic qualities of photography emerge. The moment of estrangement. The time of alienation. When you can put aside your everyday worries and sad thoughts, and all your attention is directed towards things like the movement of clouds, the force of the wind. The oscillation of the tides. And in all that you look only for the silence in your head. For the reconciliation of the soul. In the middle of the scream of nature and the elements, you become an accidental fact. And so do your problems. The voice of your thoughts disappears, submerged by the voice of the wind and the waves crashing on the rocks. 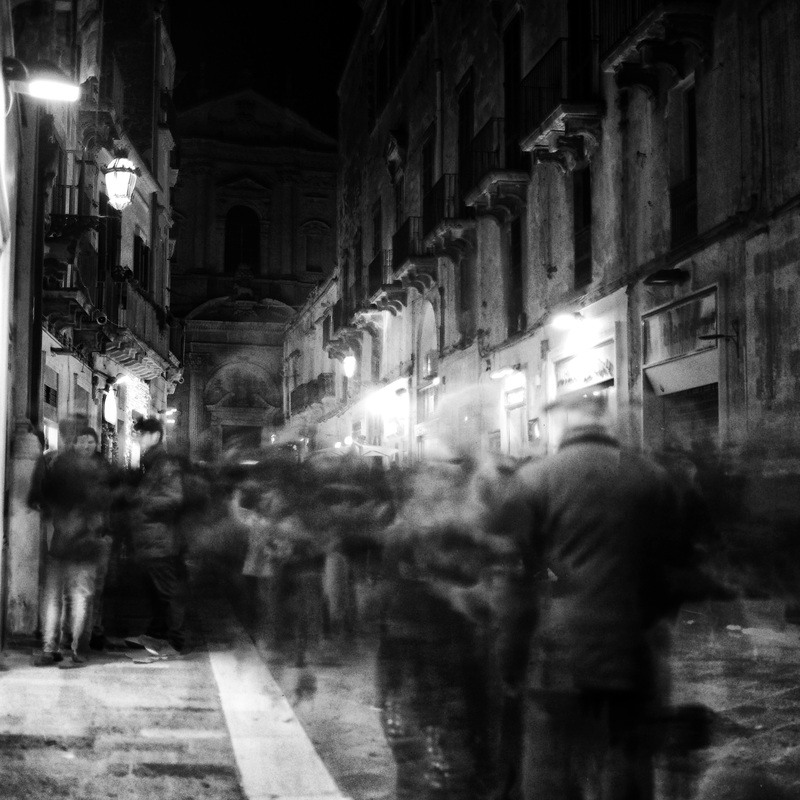 Long exposure photos; stormy seascapes; but also urban centers crowded with masses of people wandering, in a movement that is an anonymous and amorphous flow of souls. These things are useful to detach yourself from yourself. This can sometimes be too risky, because it makes you underestimate the possible dangers. When you go to the sea and you climb on the rocks, bringing with you your camera and tripod, and the sea is rough and the wind is very strong, raising waves several meters high, and the sea water is pulverized on the rocks in a thin cloud of salt, then it is likely that something can go wrong. And it can happen – as it has happened to me – that a wave hits you and causes you to fall on the hard, pointed rocks. And you get hurt, with cuts and holes on your hands and arms and legs. Or it can happen that, during a long exposure photo to the stormy sea, a wave, longer and higher than the others, can come and drag you, the tripod and the camera directly into the sea, for a frozen out of season bath. In this regard, I even keep a picture (a very nice picture), which is the last photo taken from that particular camera, before it ended in the sea bottom, along with me and the tripod. A very nice picture, and a Hasselblad broken. Such incidents aside, after a year of photos to the stormy sea, however, there is nothing left of the camera. It’s completely corroded and eaten by salt. Also the tripod was to be thrown away at the end. But at the time there was not any kind of foresight in what I was doing. There was only a desire to find the most dangerous situation and to just throw myself into it. Being immersed and surrounded by the furious elements of nature, and their consequences, was a much more pleasant thing than any other everyday thinking. These were and are the only thing to which I want to be distant. What are your preferred topics to shoot? Marine landscapes are among my favourite subjects. There is no need for me to discuss this obviousness, or that I emphasize on the beauty of a marine landscape. When the sea is rough, and all the elements are in motion, fighting and competing. Wind, water, rocks, clouds, everything trying to overpower the rest. A long exposure photo collects the harmonious synthesis of this fight and this swirling roar. I also really like street photography. But even in this case, long-exposure photos are those that prefer. In this way I can get two very different and opposing simultaneous effects. We have the immobility and stillness of the urban context, with its buildings, its infrastructure, its architecture. On the other hand, this stillness is broken and interrupted by the movement of people crossing the streets and arteries. Long-exposure photography in urban centres is characterized by a difficulty different than landscape photography. And perhaps it may reveal more unnerving. You have to find the right place that provides an aesthetically pleasing background. You have to find the right subject that, by its movement, can create an interesting abstract effect. Or a large crowd moving, so that on the film can remain a homogeneous flow of wandering souls. Of course, work on the photos is not limited to mere execution. It’s always very engaging and fun to develop and observe the result of your own work. On the one hand, when you know you’ve done a nice picture, to a nice subject, you cannot wait to have a first comparison with the developed film. But, in general, it is always very difficult to predict (or imagine) the end result of a long exposure photo. So there is always a lot of curiosity in observing it. Name some of your favourite artists, that constitute an influence and inspiration for your own work. Having started with photography from scratch, I didn’t know any photographer. Even the most famous ones. And I know that this can be considered more of a handicap than an advantage. The first famous photographer that I have had the pleasure of admiring was Robert Capa. Of course, for obvious reasons, I am not inspired by him; but I really love his photos. I really love his biography. I admire and am very respectful to his history; a very dramatic, but also very generous story. I love very much other photographers. Tina Modotti, Francesca Woodman, Sebastião Salgado, Abbas. They are the first names that come to mind. But I recognize to all photographers their skill and their importance. Now I know many contemporary photographers. And so it is impossible for me to compile a complete list. I’d like to… I don’t say take pictures similar to Woodman… but I’d like to have poetics similar to those manifested, expressed by Woodman in her photos… I would like my photos to have an ideal affinity with those of Woodman. But as often happens, will and possibility (or reality) collide and diverge. so my photos sometimes go in a direction opposite to the direction that I’d like. This does not always happen. I say only that I am a very strict judge in relation to my work. and as a true outside observer, even I can judge my photo good or bad. Insufficient or successful. If it was up to you to describe what you do in the way that you see fit – and not necessarily restricted by classifications or labels – what words would you use? When I do photography, I do not think I follow a single strand. Not always. Fine art photography, I think that under this expression I can collect most of my photos. 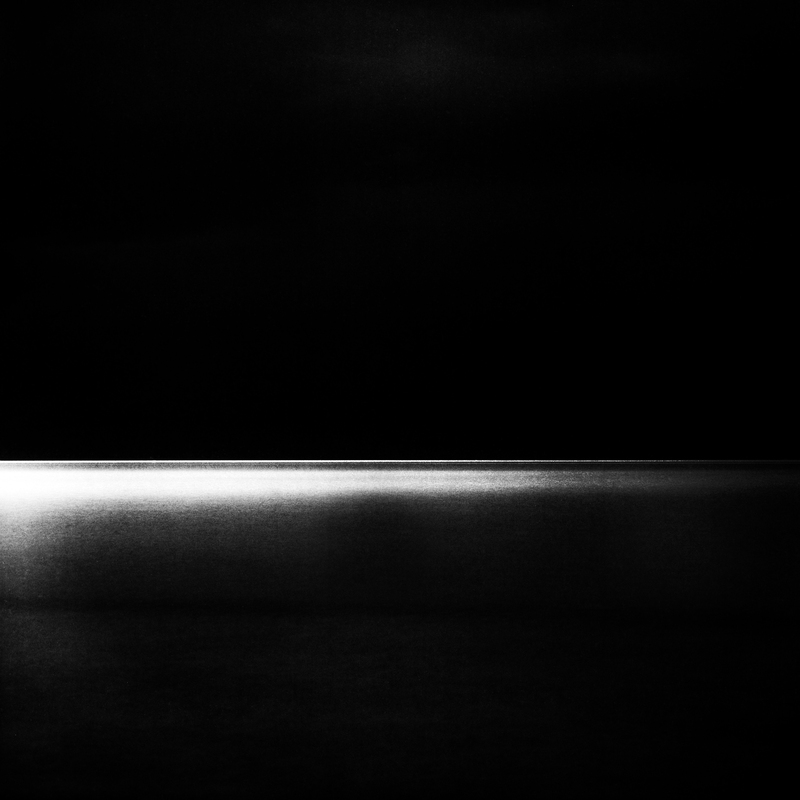 Seascapes, ghost photography, still life and abstract art. Certainly not street photography, social or documentary photography. Maybe, I say maybe, a photograph can be identified according to the emotions it arouses. Not so much depending on what it shows, but in the way that it shows it. Photographs must arouse in the viewer a feeling. And in this, there could be the active participation of the will of the photographer. I mean that someone may want to evoke a certain feeling, so they do a certain type of photography. But I do not know. I never asked myself this question. I like to hear and know the kind of feeling that my pictures arouse in the viewers, but I believe that they are freely interpretable and readable according to the sensitivity of each of us. My photos arouse in me a feeling, but it doesn’t mean that someone else has to have the same feeling. Regarding my most beautiful photos, I’ve never done them with the intention of arousing some specific feeling or sensation. I took them and that’s it. If you had to choose your favourite work up until now which one would it be? I never do photos with the intention of provoking a particular feeling. This means that I hardly take pictures with the clear intention to follow a unique project. I am not able (or I am not good) to focus myself on a single line for a long time. But in the longterm, two strands have come out. Two groups of photos most identifiable and most characteristic. The first group is the strand of “ghost” photos (people and urban centers). In parallel, there has been a second strand: seascapes (often stormy). These photos, for my convenience, are grouped ideally within a series that I call “Arcadia”. They are not the so-called two sides of the same coin, but two different ways which, at the end, organically describe only one universe. Only one world. Two different paths converging to a single coherent vision. Alien landscapes. White and evanescent marine landscapes. Lunar areas unfit to host life. Sharp rocks and waters that fade in sulphuric mists. In all of this there is no life. There is no heat. There is only dispersion, neglect and forgetfulness. And cities alienating. Streets crossed by a multitude of wandering shadows, faceless and without memory. With an unconscious movement, almost lost in a numbness of the senses and of reason. Lives suspended in a limbo of non-living. There are no identities. No feelings. It’s just a flow that drags itself towards the end. What’s your everyday life like – job, family, other activities – and where does photography and making music fit in it? Is it a crucial part of your life or do you view it more like a hobby? For all that I have written and I said, photography is essential and vital within my life. It’s the part where I converge everything I love and everything that is far and away from everyday life. When I do photography, I build around me a world that is made of silence and stillness. Reflection and dispersion. An abstract world away from the real and present. Away from the frenzy of the present. Away from hypocrisy and separated from hysteria. For this reason (and on the basis of these considerations) my daily life, my work, my family, my friends, are things that I maintain distinctly distant and separate from my photographic passion. The real world and everyday life should not interfere or interact with the field of my passions. I said that photography is like psychotherapy. Something that keeps me away from the malaise and sorrows of everyday life. For this reason it is necessary, indeed imperative, that these two worlds never meet. What is your opinion of social media? Do you see the necessity of their use as a hindrance or a tool, with regard to the promotion of your work and its understanding by the public? I do not have a structured and equivocal opinion about Social Media. Firstly I think that their usefulness is functional to the actual needs they meet. But often the market is flooded with goods and services that are purchased on the basis of fictitious needs, invented to sell a product. Therefore, if social media are used in order to meet a real need, they are a good thing, in so that they can be an important channel for promoting your business and your work. One that allows you to get in touch with potentially millions of people. They are an important research tool, and an important tool for cultural education. Important precisely because it can reach millions of people and affect their behaviour. Of course, often people who use social media give them a role and an importance that exceeds their proper use, thus becoming an additional source of stress or, what is worse, they develop a behaviour of psychological dependence that is pathological. My opinion on social media is therefore bound to the type of use that people make of them. They can be a great promotional tool, a great tool for comparison. An excellent tool for entertainment or culture. But a social media platform must remain a tool. It should not become the center of gravity and the goal around which everything revolves. I do not have goals for the future. I do not have goals and I have no plans. The things that I have done in recent years are many and they have also led to various results. But I have never pointed to any goal. The results came on their own. What I’d like to do is keep doing what I’m doing, I mean photos. Photography combines harmoniously with my other passion, that is travelling, seeing new places. Also in this, my conception of a journey is very personal. It coincides with an idea of exploration and discovery that provides for my total lack of planning. Then go, see, walk, decide on the moment, no program. Always with the camera equipment in the backpack and with my tripod. With respect to goals, the results that I have achieved in recent years have been very generous and numerous. But I repeat, I have never had the worry or trouble of any goal. What the future brings, I will take. And finally, do you have a message for our readers? I think I do not have any advice or special message for anyone. I’m not in a position to give advice. I wish everyone had the strength and courage to follow and develop the passion that brings them the most joy and satisfaction. The bigger our passion for what we do, the greater must be the commitment, energy and seriousness that each of us has to put in it. And only one thing is true: if we have a desire, if we have a dream, we must always have hope and strength to fight for that dream. What I am saying is not something rhetoric. It can be something trivial. But it is trivial in the same way as oxygen and water. We must not stop believing in your dream. If you stop believing in your dreams, if you lose hope, if you stop fighting, what else do you have in this life?